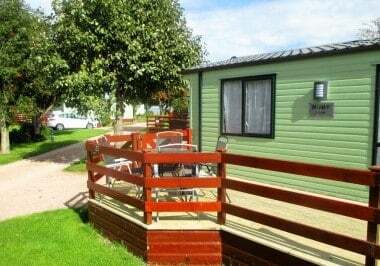 Newly available for the 2017 season and situated on a lovely sunny pitch with a balcony this is a fantastic holiday home. 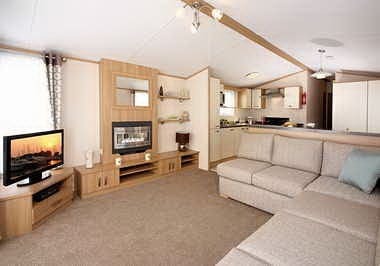 At an impressive 38×12.6 it is the 2nd largest caravan we have on the Park and even has a bath in the en-suite! 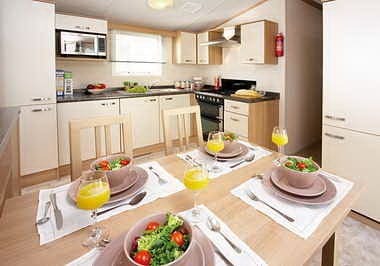 With high performance ultrawarm insulation, central heating and double glazing this is an extremely comfortable holiday home. The Ruby exudes charm and elegance throughout. The tastefully furnished living area with sofa-style seating adjoins a modern fitted kitchen with integrated oven, hob and fridge freezer – the perfect place to enjoy family meals. The spacious dining area features a freestanding dining table and luxurious upholstered chairs and is ideal for entertaining guests. 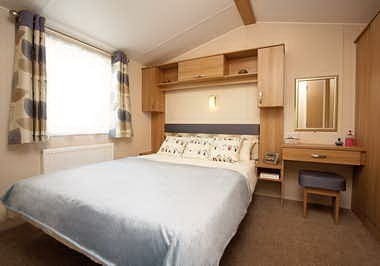 The master bedroom is very spacious with over bed reading lights and don’t forget the bath in the en-suite.